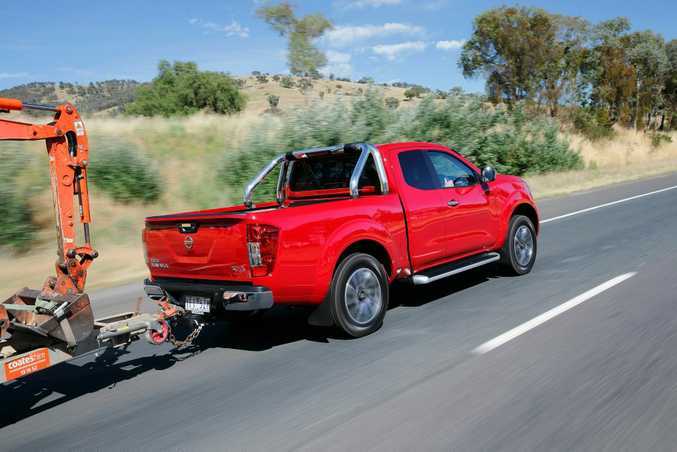 WORK MATES: The Single Cab and King Cab utes from Nissan's Navara NP300 range are available in a range of specs, 2WD or 4WD and with either petrol or diesel engines. 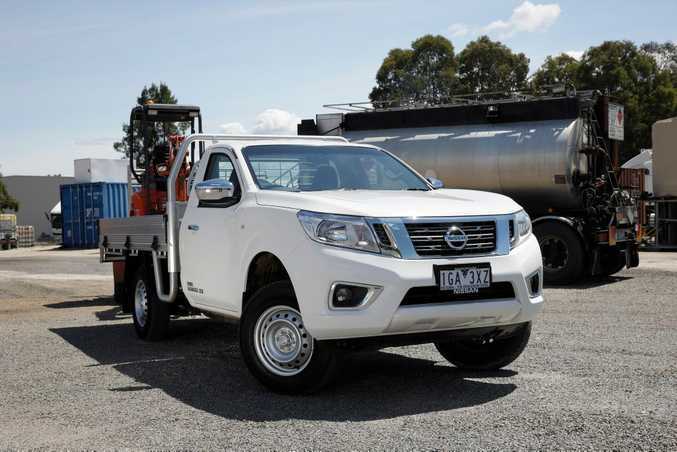 NISSAN'S strong reputation for quality commercial vehicles goes back to the 1930s and that history of reliability and durability has carried through to its modern-day offerings, the latest launched in the beautiful surrounds of Albury this week. 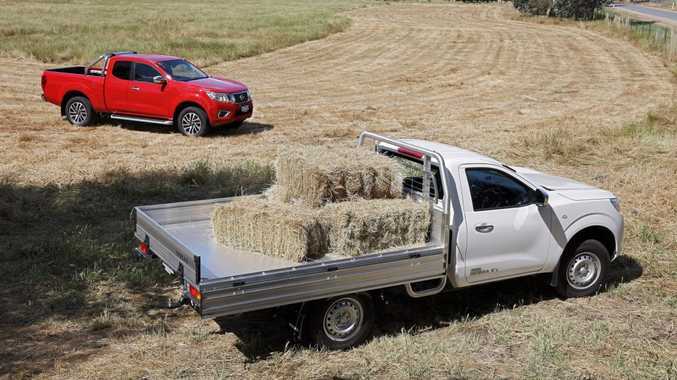 The Nissan Navara single cab and king cab utes cut a swathe through the very industrial and agricultural land they will operate on with these workhorses revelling in the challenges on offer. Buyers will be spoilt for choice with 13 versions on offer, 27 in all if you count the dual cab pickup variants that went on sale in June this year. The smorgasbord offers two transmissions, two body types and three engines and the range has added appeal for fleet buyers who tend to consider variety the spice of life. 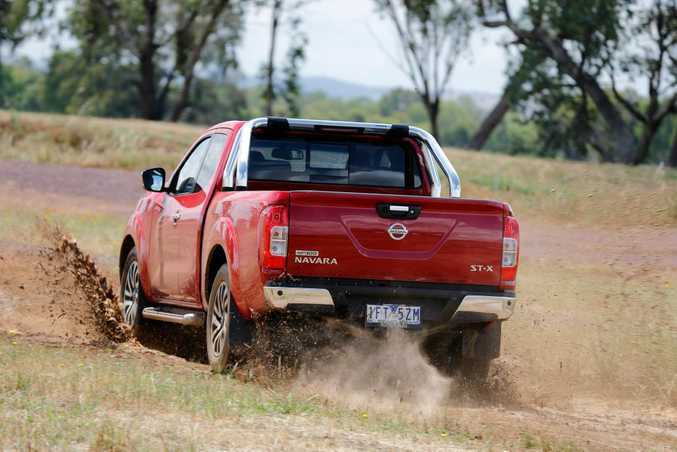 If numbers of the new dual cab are anything to go by, Navara will continue to account for the lion's share (30%) of Nissan's sales in Australia. 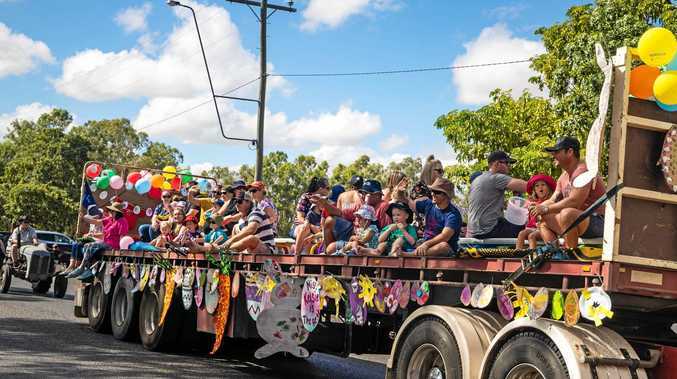 Obvious care has been taken to ensure interior comfort has been improved in the single cab ute with better quality plastics, fewer rattles and seats that seem flusher and more supportive. There is similar treatment for the king cab that gets a sleeker console, a nicer feel to the steering and smarter instrument surrounds. The king cab also gets jump seats in a second row that is honestly quite tight and best used on the odd occasion. 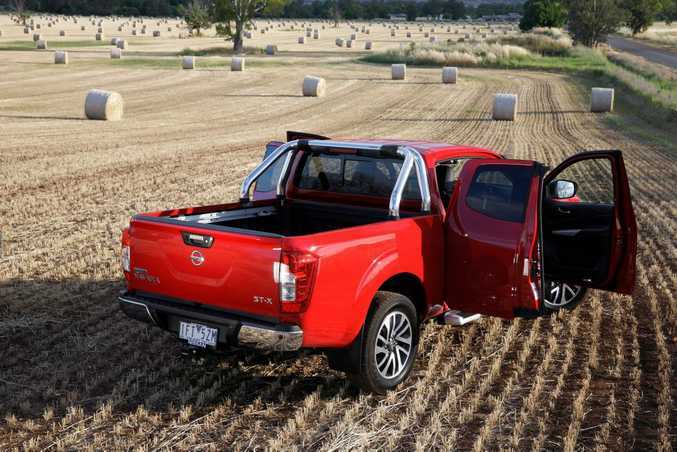 No place for kiddies in these Navara editions especially those in car seats - the dual-cab ute we tested in May is your best bet for family duties. There is some storage in the cabin to put your bits and pieces and enough head and leg room even for taller drivers and front passengers. 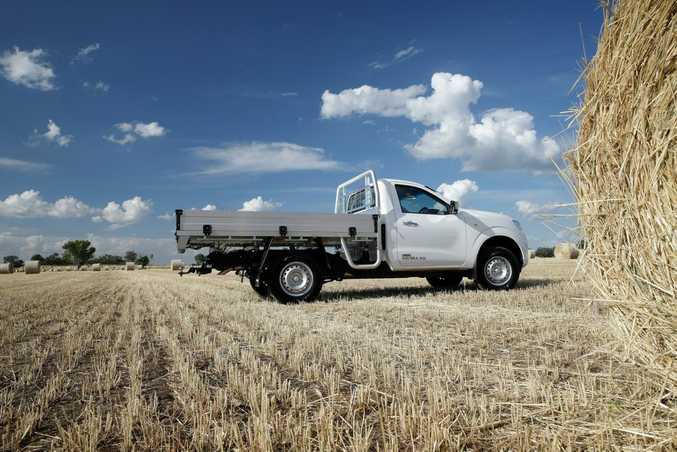 The tray, alloy in the single cab with steel to come and available as either a pick-up or cab chassis, is sturdy and well put together and super easy to load and unload. Certainly with so many variants on offer, you would be dreadfully unlucky to not find the Navara to fit your needs. The 2.5-litre four-cylinder petrol engine is available in the single cab 4x2 only and paired with either a six-speed manual or seven-speed automatic transmission. The petrol seems a capable unit, even under load, is frisky when required and much quieter than its diesel counterpart. The manual gearbox affords smooth controlled changes with an updated knob that fits comfortably in the hand. There are two diesel engines to choose from - a single-turbo four-cylinder under the hood of the single cab RX 4x2 and RX and DX 4x4 and king cab RX 4x2 and 4x4 club chassis and RX 4x4 pick-up with a 2.3-litre twin-turbo for the king cab ST and ST-X 4x4 pickup. Both diesel engines are admirable performers with more than enough low-range torque to ensure these workhorses get the job done in an efficient no-fuss manner. 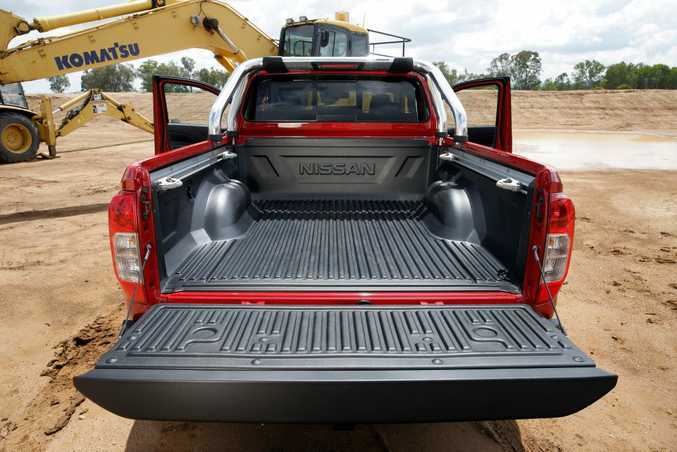 Unlike the coil springs in the Navara dual-cab ute, these variants boast a traditional leaf-spring rear suspension that is right for the rigorous work expected of this vehicle. The ride, though largely unaffected by load, can be a little bouncy but surprisingly almost more comfortable on secondary roads. The 4x4 variants have no trouble off the well-heeled path either with our launch cars traversing a fairly complete four-wheel-drive course with ease. Four-wheel drive can be selected via a dial on the dash on the fly at speeds up to 100kmh. 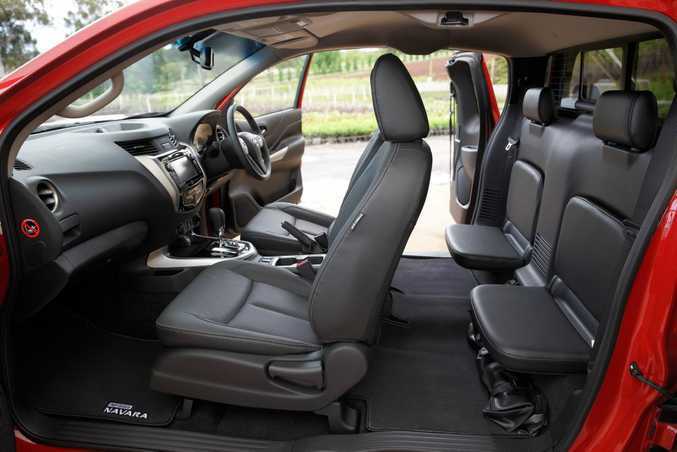 The standard equipment list is pretty extensive with the single cab including 16-inch wheels with full-size spare, Bluetooth with steering wheel controls and audio streaming, iPod connectivity, three 12V power sockets and seven airbags. 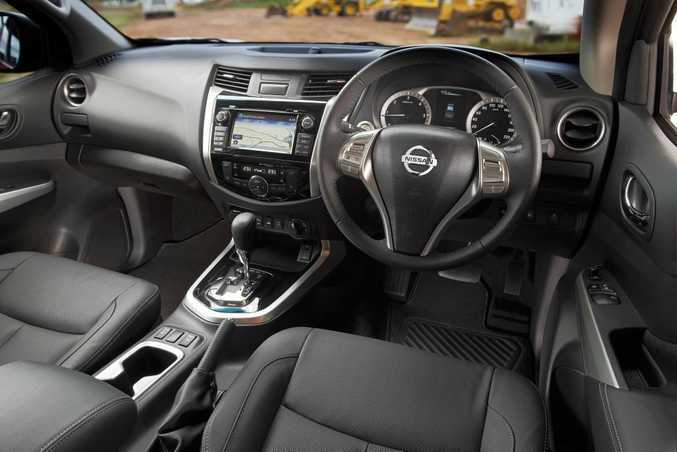 The ST and ST-X king cab add NissanConnect smartphone integration, leather accented upholstery, dual-zone climate control, power-adjustable driver's seat, remote keyless entry, reverse camera, LED projector headlights and sat-nav (ST-X only). Safety is five-star with the rating also applicable with a genuine Nissan bullbar fitted. Fuel consumption hovers around 6.4l/100km - 6.6l/100km for the diesel engines with the petrol returning a heftier 9.9l/100km. Warranty is three years or 100,000km with service intervals at 12months/20,000km for the diesel and 12months/10,000km for the petrol. In this bustling market resistance will come from Mitsubishi Triton (from $21,990), Mazda BT-50 (from $25,570), Holden Colorado (from $28,390), Ford Ranger, (from $27,390), VW Amarok (from $31,490) and Toyota HiLux (from $20,990). Payload (from 1196kg - 1362kg) and a 3500kg braked towing capacity is excellent and there are most of the creature comforts you would expect in a car. 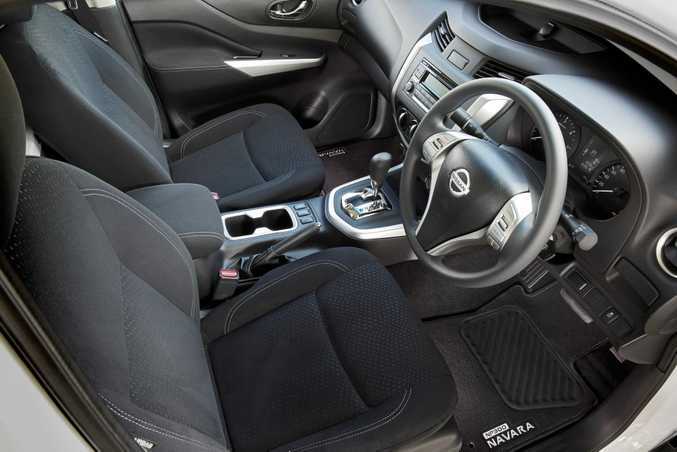 The cupholders that push in and out on both sides of the console are a worthy touch comfortably holding both hot and cold beverages and, of course, the obligatory iced-coffee for tradies on the run. Access to the second row of the king cab is via a hidden door handle on the inside which can be tricky to find although the space itself is rather welcome. The single cab utes are much brighter than their counterparts because the light hits directly on the back of your head - tinted glass here wouldn't go astray. Well, I hardly think that buyers choose their utes on looks alone but if they did, this Navara with its new V-shaped grille and LED daytime running lights is a good-looking truck. The single and king cabs complement the already popular dual-cab model released earlier this year and have the strength, durability and versatility to honour the Navara's reputation and promise. These utes are rugged and capable with a competent drive, comfortable interior and decent price - the perfect workhorse really.